I thought these were a spoof when I first saw the image, but it appears they're a genuine product and the pair in the picture is trail shoe!? 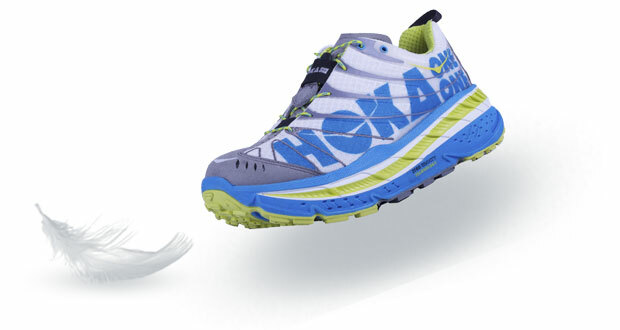 Up to 2.5x the volume of EVA in the midsole compared to standard running shoes. Outstanding impact absorption and a highly comfortable underfoot feel. nThis oversized approach ensures a natural stride whether on smooth road surfaces or the most uneven trails. A natural stride For who? An astronaut on the moon? There's no way a boot like this could promote a natural stride in anyone. These things are insane and expensive and the "technology" claims are spectacular. I don't think I'll be migrating to these anytime soon.